Previously operating as ServPro of Rancho Cordova, Miller Mitigation & Restoration Inc. is an independent, family-owned commercial and residential cleanup and restoration company. Our services provide our clients with trusted solutions to their water, fire, smoke, mold, bio-hazard, crime scene, and vandalism issues of any size or scope. As licensed general contractors, we cover all aspects of the project, including the reconstruction. While other companies only remove the affected materials, we are available from the first day of mitigation through the final repair to get your property and your life back to normal.Our highly trained office staff will help you work through the insurance claim process and keep you fully updated on the project's status every step of the way. With over 30 years of construction experience combined with over a decade of cleaning and restoration expertise, you can trust that Miller Mitigation & Restoration will safely get our property and life back to normal. 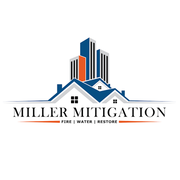 Rate and review Miller Mitigation in Gold River, CA, United States! Share your experiences at Miller Mitigation with your friends or discover more Contractors in Gold River, CA, United States.